Helping You Feeding all Your People!! Hi, friend! It’s me, Jamerrill and if we haven’t met yet let me just say a big welcome and hello! I’ll throw a few quick facts at you. I’m Jesus’ girl for as long as I can remember and Travis’ wife of 20-years. Our family consists of six boys and two girls so far who are ages infant through 18. It’s a joy to be their momma. We raise and homeschool our herd of children on our 13-acre forest home in the mountains of Virginia. And let me tell you, friend, we are having the time of our lives! Sometimes you can find me writing Bible verses on my hand or thinking deep thoughts while peeling clementines. My favorite places in the world are adventuring through our wilderness and reading to my babies. That’s the good stuff right there. 36-weeks pregnant with Daniel Joel, baby number 7. 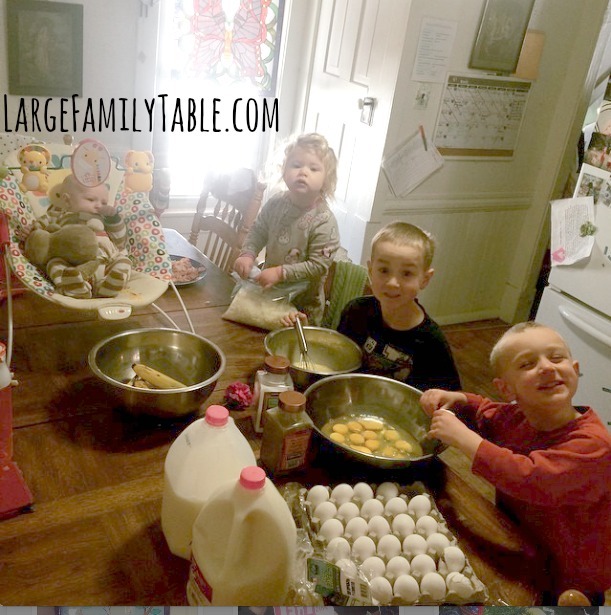 As a momma of a large and growing family, I find myself often sharing online about Large Family Food in all its forms. I believe the planning, preparing and serving up of large family meals has slowly taken over my mind. Really. We’re at problem-level status here, folks. You’ll find quickly that my heart is to help YOU feed your people. 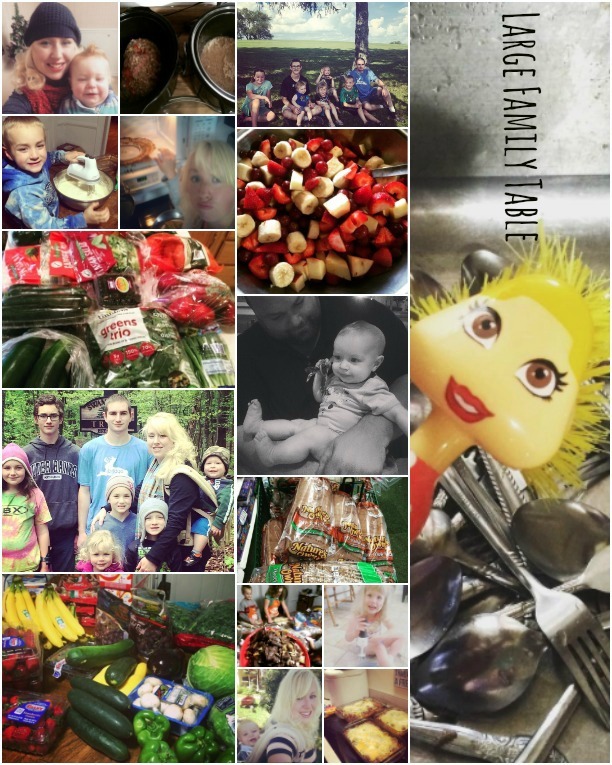 That’s why 5 times a week between this blog and the YouTube channel you’ll find fresh and juicy content on Large Family Freezer Meals, lots of new Large Family Recipes, weekly Large Family Meal Plans, lots of Large Family Grocery Shopping, and pretty much all the food things to help you feed your people. 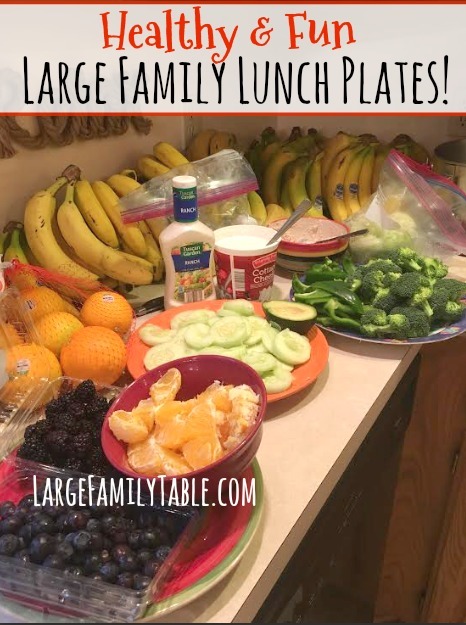 You will love these cheap meals for large families here on Large Family Table! 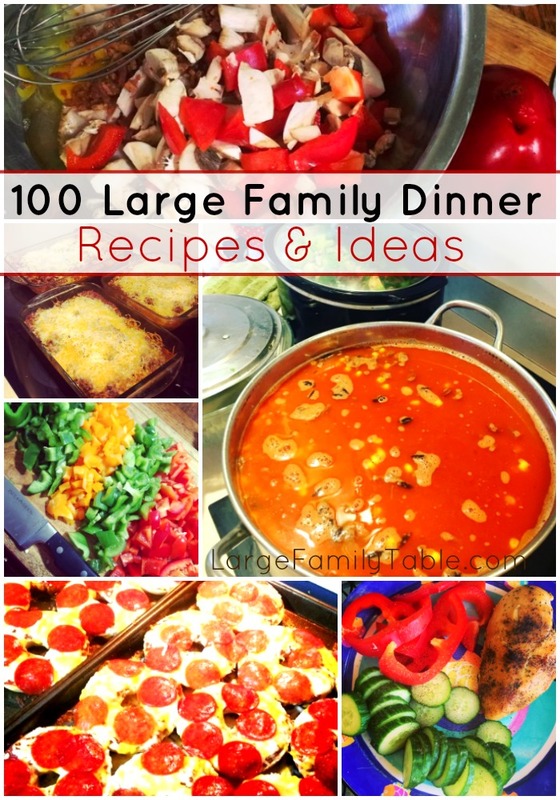 Get your free copy of 10 Large Family Table Recipes: Simple and Easy Large Family Style Dinners here! Recipes include Foil Packet Burgers, Slow Cooker Lasagna, Slow Cooker Philly Cheesesteaks, and several more. How to Keep Fresh Carrot Sticks for Days! Easy Overnight Slowcooker Oatmeal Recipe – great for busy mornings! 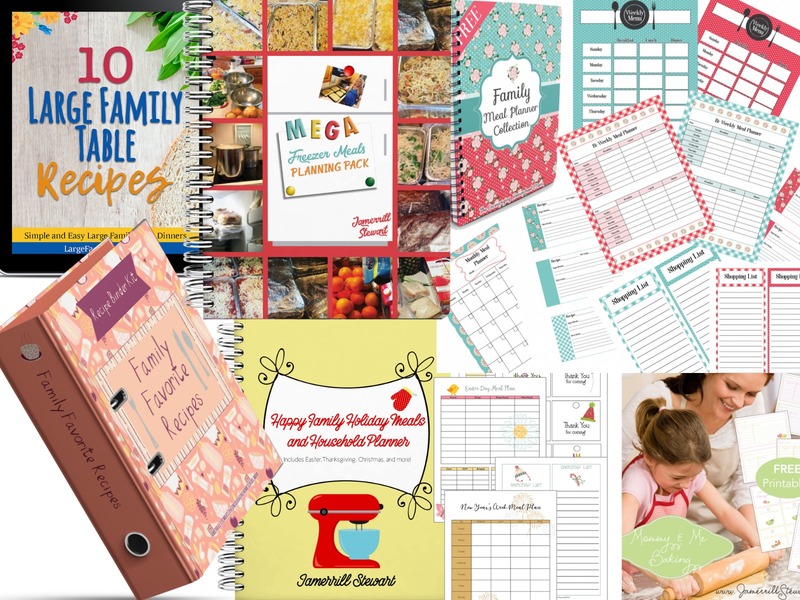 NEW Free Happy Family Holiday Meal & Household Planner Set (Including Thanksgiving, Christmas, New Years, and Easter) – over 30 pages!!! Click here to get the Free Large Family Food Collection! 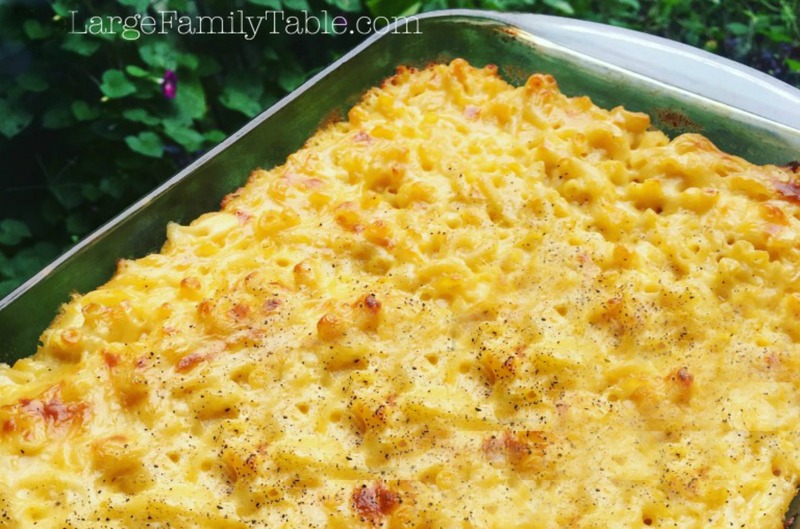 Find all of my large family recipes here. Don’t forget your free Family Meal Planning Collection here. This lovely set includes beautiful weekly, bi-weekly, and monthly meal planners. Also included are bonus grocery shopping lists and helpful recipe cards. 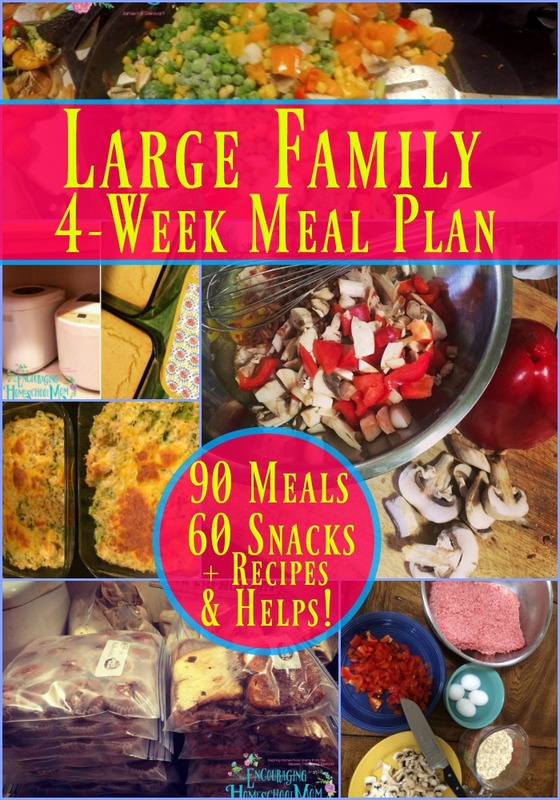 Find all Large Family Meal Planning resources here. 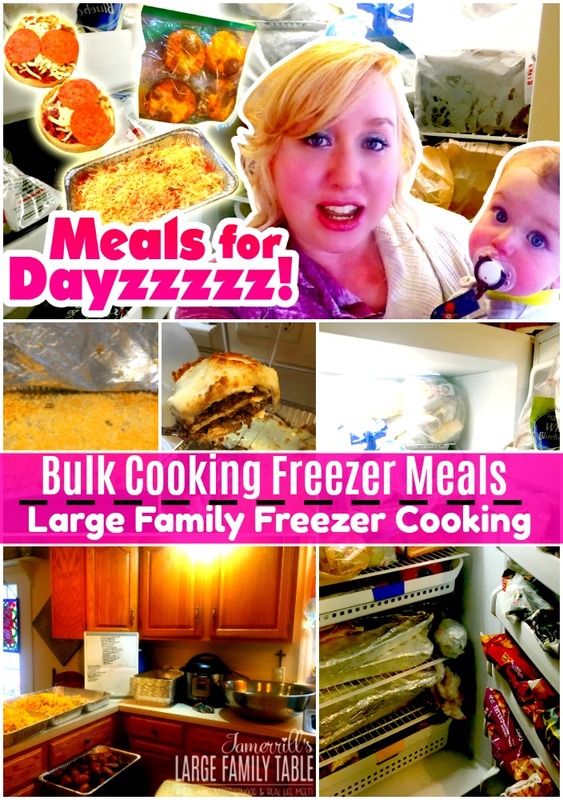 These are a few of our past freezer cooking afternoons I’ve shared online over the years. It’s no secret that *I LOVE FREEZER MEALS* and this love only grows more and more! They are so helpful. 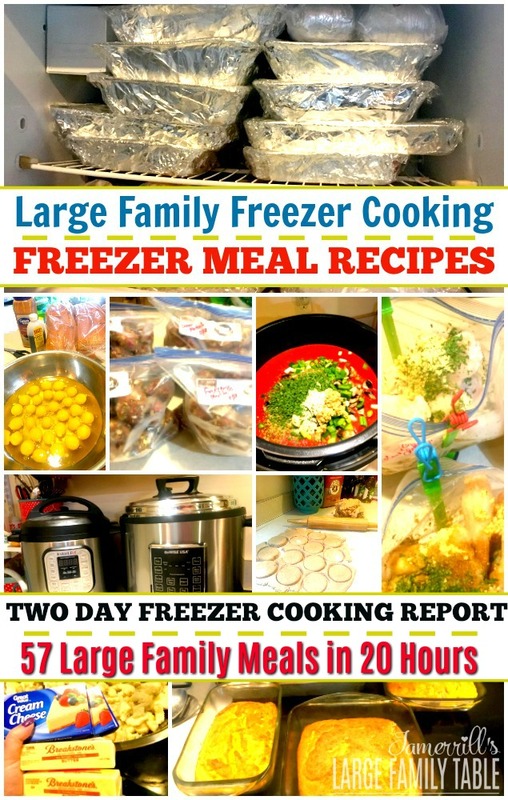 Freezer Cooking Day One | 30+ Freezer Meals completed in ten hours! And on this Freezer Cooking Day Two I completed 27+ more Freezer Meals in ten hours! 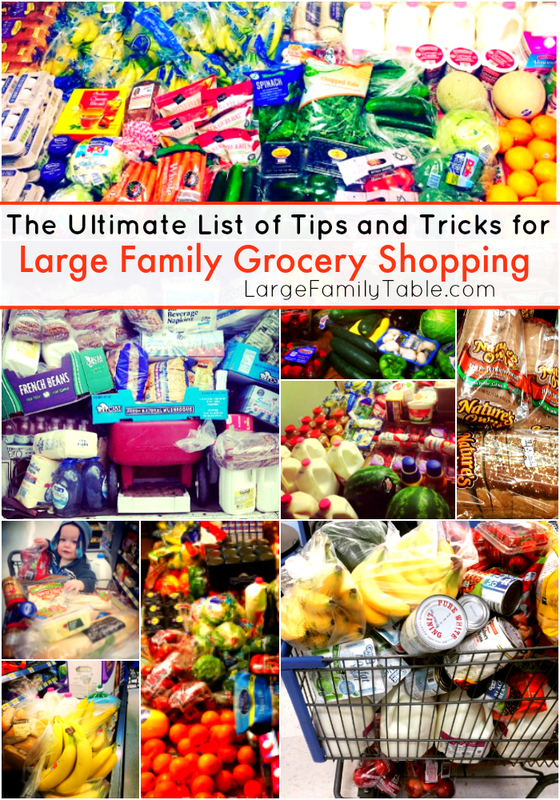 Here is the complete list with over 57 large family freezer meals. 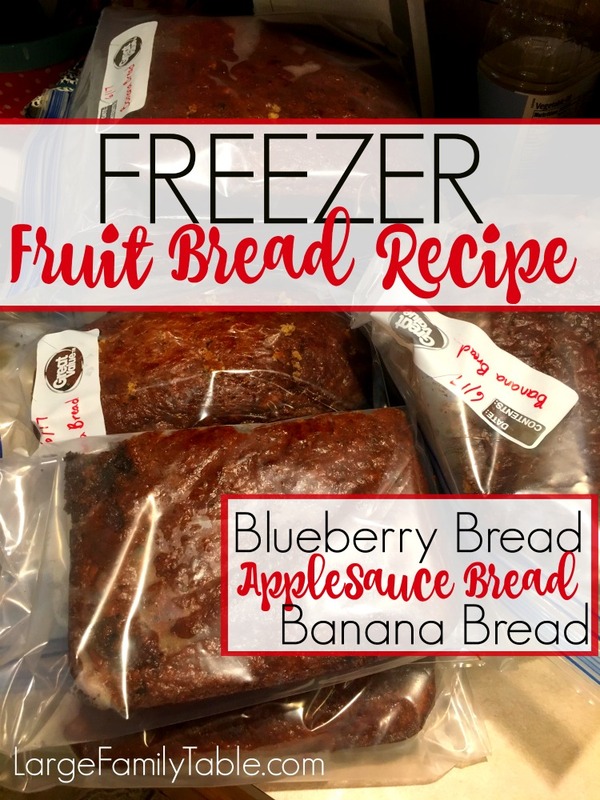 LARGE FAMILY FREEZER COOKING DAY: In this freezer cooking day from February 2018 Daniel and I make 15 dozen baked oatmeal muffins, burgers, and tuna cakes for the freezer! 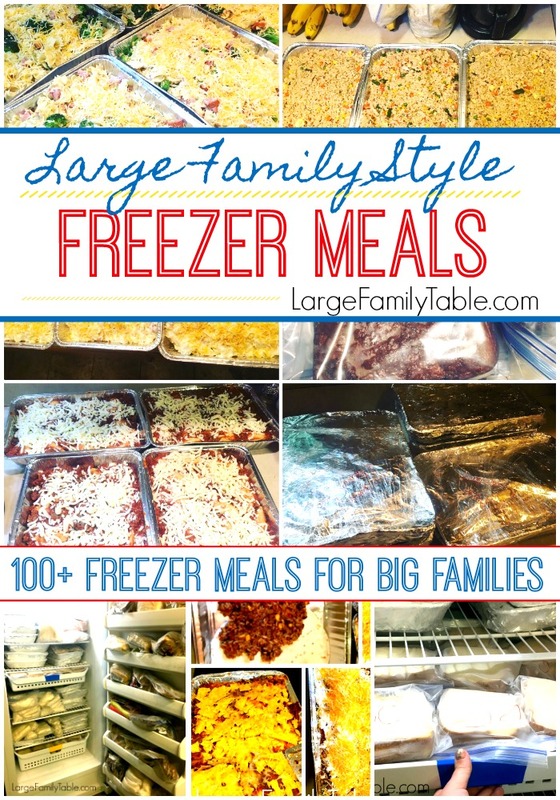 Mega Freezer Cooking | 60+ Freezer Meals | 26 Dinners, 21 Breakfasts, 16 Lunches | Large Family Style! 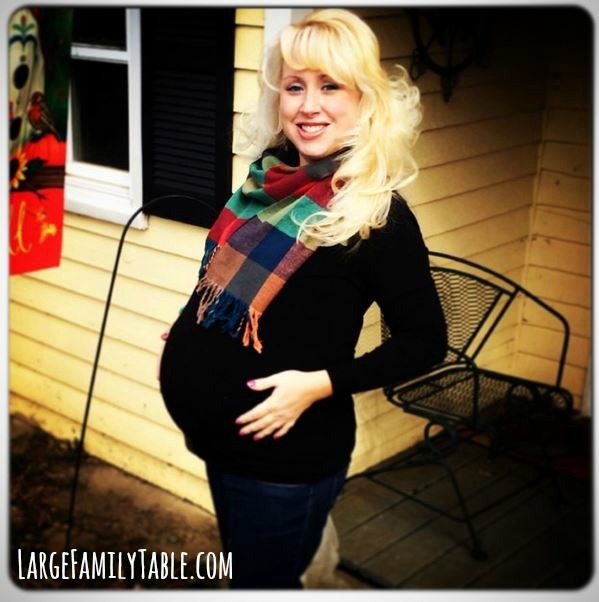 There’s a lot more goodness coming out on LargeFamilyTable.com! Be sure to follow me on YouTube, Instagram, and Facebook.